WE OFFER the highest quality AED'S AT LOWEST PRICES ANYWHERE! ​until you consider the alternative! Each year over one million men, women and children die from Sudden Cardiac Arrest. ​The first few minutes of rescue often means the difference between life and death. ​An AED (combined with high quality CPR) is the only on-site emergency equipment proven to dramatically improve survival in the vital minutes before medics arrive. The average EMS response time in the U.S. is 8-10 minutes. Survival rates after 5 minutes without an AED average below 6% nationwide. We provide our preferred clients savings well below retail and internet prices. Click the unit picture below for current savings on each model. Average savings $300 per unit. Is it time to own the most important piece of lifesaving equipment available? We make AED's an affordable lifesaving device for home, office, schools, and travel. Yes, we would like information about selecting the right AED for our organization or my family. Please send us a NwBestCPR Cares information package. At NwBestCPR we want everyone to survive a Sudden Cardiac Arrest - anytime, anywhere. Immediate access to an AED is the solution. We make owning an AED cost effective and simple. AED's save lives every day and will soon be mandatory equipment for every workplace. 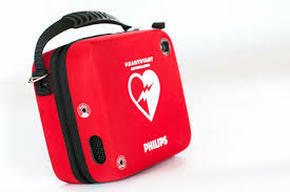 ​Many families now buy or lease AED's for home use. Lease one for as little as $39/month.